The data displayed in Landscape Layout by default. Zoom: The data displayed in Landscape Layout by default. If you use the PDF(form) on the Reports Page, it will generate a separate file each athlete, AND a combined file with all athletes data. 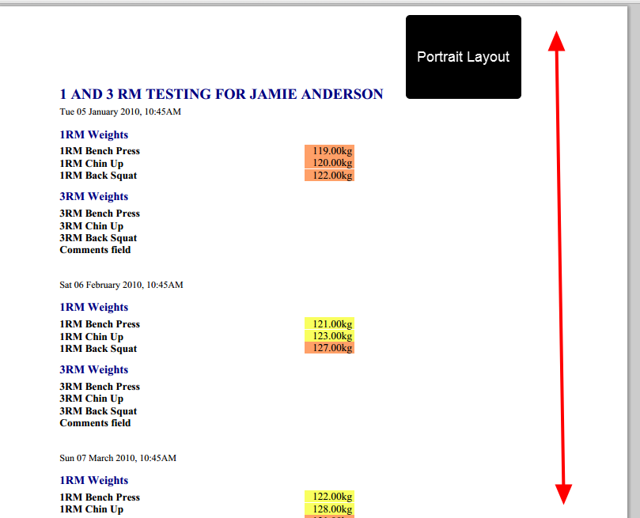 All Images attached to an Image Field Types now appear as a Thumbnail in the Event Form. Performance Alerts: can't create the specific alerts you need because you need additional fields to be added to your Event Forms? 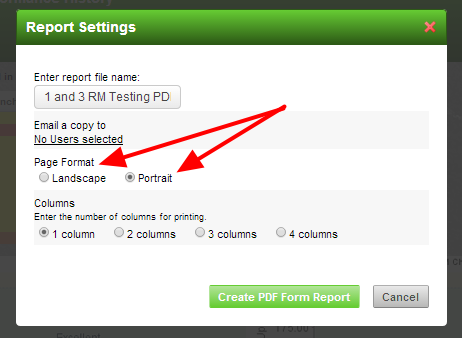 To Email a PDF report, you will now need access to a special "Reports - Send Email" permission.